How much you pay for a diamond is highly dependent on a diamond’s quality, established by its grading report or certificate. Diamonds are graded on a variety of characteristics, the standard of which are cut, clarity, color, and carat weight—also known as the 4Cs. However, simply knowing the 4Cs doesn’t ensure you will get the best value. 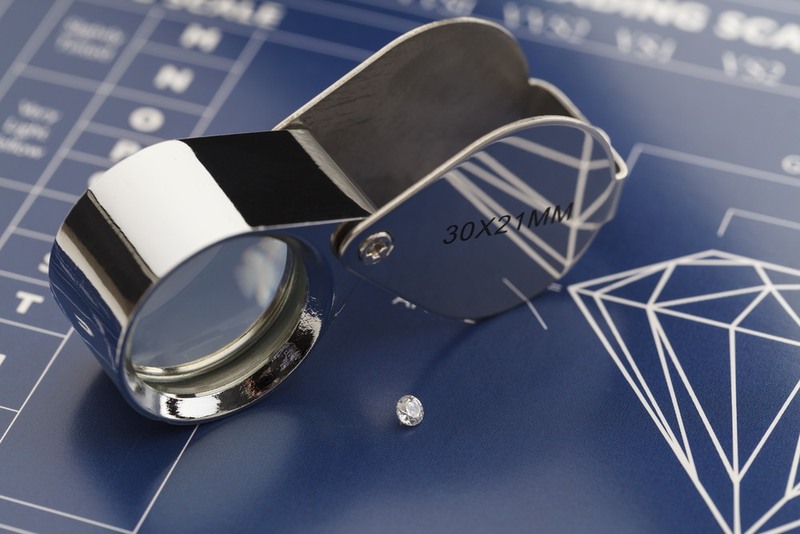 Diamonds are graded at multiple third-party gem laboratories around the world, and while there are generally accepted guidelines of what constitutes a good diamond cut or clarity grade, knowing what lab has graded your diamond can make a big difference. Some international labs use different criteria in different countries, causing inconsistencies in their grading process. Some labs are non-profit, while others are commercial, with the latter tending to grade diamonds higher to claim a better price point. The Gemological Institute of America, or GIA, is a non-profit third party certification laboratory. Their grading reports are regarded as the most reputable, and GIA is considered the top rated diamond certifier in the industry. Their lab services grade a variety of gems, and their grading system is used by nearly all jewelers as a hallmark of authenticity. The GIA also offers powerful industry education and research, training future gemologists to uphold their high standards. HRD was established as Hoge Raad voor Diamant in 1973, also known as the Diamond High Council. However, today the Antwerp World Diamond Centre (AWDC) has become their primary stakeholder. Representing the Belgian diamond industry, HRD Antwerp is a main artery for the diamond trade. Their laboratories share similar quality standards as GIA, and they strictly follow the International Diamond Council’s grading regulations. The American Gem Society, or AGS, is an organization filled by industry jewelers, traders, appraisers, and suppliers. Founded in 1934, they have a very sturdy reputation when it comes to diamond certifications. The AGS founded the American Gem Society Laboratories (AGSL) in 1996, and have since developed their own grading standards and practices. This has made the AGLS a top rated diamond certifier and the primary competitor to the GIA. Established in 1975, the International Gemological Institute, or IGI, is another diamond certifier helmed in Antwerp. With multiple international laboratories, IGI is one of the largest third party diamond certifiers in the world. Like the GIA, they too offer education for future gemologists. Due to their size, inconsistencies have been found with their grading reports. However, their grading standards and practices have become much tighter over recent years. 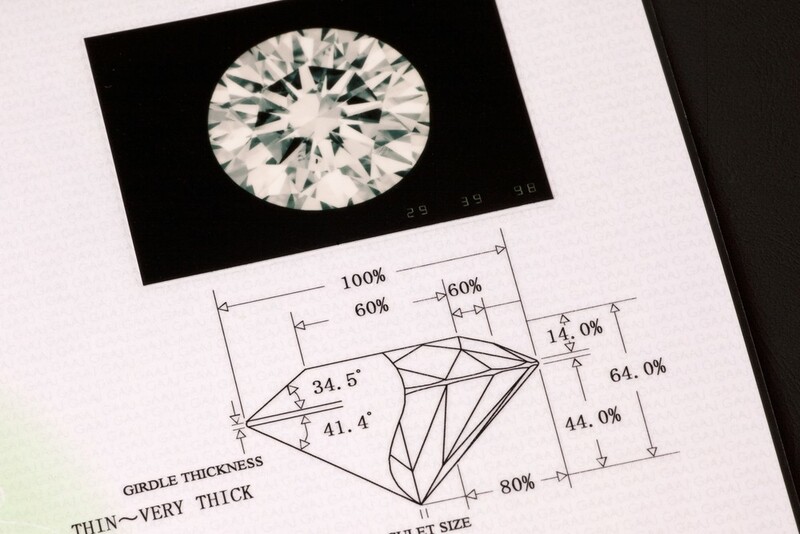 The IGI has been noted to be less strict when compared to the GIA or AGS, but it is important to understand that no two diamonds are alike, and each certification could be slightly different. Gemological Science International, or GSI, is a diamond certifier that mainly grades diamonds for large retail jeweler chains. This is often done in mass, and the GSI is known worldwide. Having the ability to grade diamonds in mass, they are often much faster than other certifying labs like the GIA or AGS. However, with mass grading, inconsistencies can result, so if you are not up-to-date on how diamonds are graded, it’s best to stick with the GIA or AGS. The European Gemological Laboratory, or EGL, should be viewed with caution. Once a leading name in the diamond grading industry, the organization has lost a bit of credibility mainly due to their for-profit standing. That being said, an EGL certification is not necessarily bad, but relying on their grading report exclusively may not be the best practice. Many brick and mortar jewelers and online diamond retailers will not even list EGL certified diamonds in their inventory. 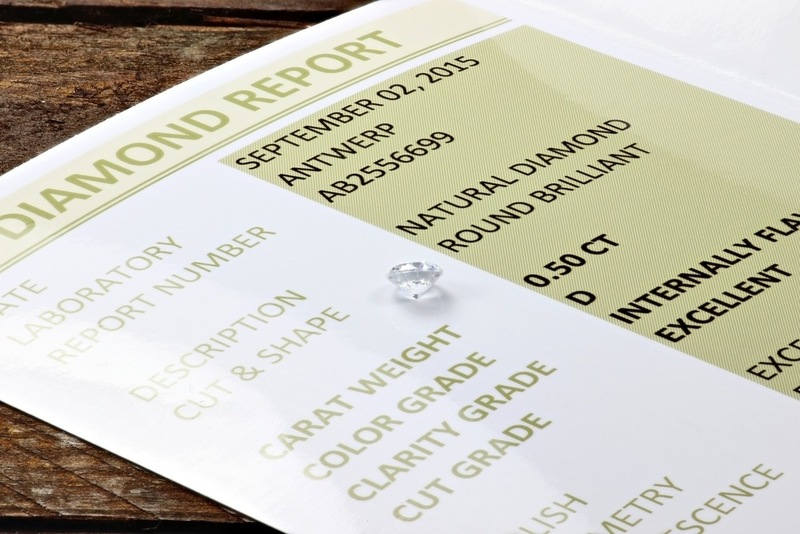 The differences in third party diamond certification labs could have a significant impact on a diamond’s grade. For instance, the GIA may be more objective than the IGI, based on the IGI’s motivation for higher profits. A GIA certified diamond, however, may be priced higher when compared to a similar diamond graded by IGI. But as a buyer, lower prices are not always the best. In fact, you may be paying more for a poorer grade by choosing the lower priced IGI diamond when compared to a GIA-graded diamond of the same true quality. The GIA cut grading system is certainly the most used and accepted in the industry. The key characteristics the GIA grading system analyzes are cut, color, clarity, polish, and finish. The five grades of the GIA cut grading system are . . . Excellent Grade: The diamond has even light and dark colors with extraordinary brilliance and scintillation. Very Good Grade: These diamonds possess fantastic brilliance and scintillation, but they do have more dark areas. The pattern of the diamond is also taken into consideration in this grade. Good Grade: Diamonds graded “good” by the GIA are generally darker with far less scintillation and brilliance. Weight ratio is also taken into consideration for this grade. Fair Grade: These diamonds have little brilliance and scintillation with dark spots on the table and girdle. Symmetry and proportion are also a big factor for this diamond grade. Poor Grade: Diamonds with this grade have many faults. These diamonds will have poor symmetry and proportions with nearly no brilliance and scintillation. To get the most value on your diamond purchase, a diamond with a GIA or AGS certificate is truly the wiser choice. This makes knowing how a diamond is graded invaluable. So before you make your next diamond purchase, learn more about the 4Cs and the different third party certification labs.